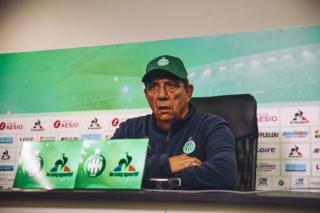 Jean-Louis Gasset: "Important, not decisive"
Home > News> Jean-Louis Gasset: "Important, not decisive"
Even if two famous adversaries will visit the Geoffroy-Guichard stadium in four days, the Stéphanois coach desires above all to maintain the positive momentum that his players currently have. 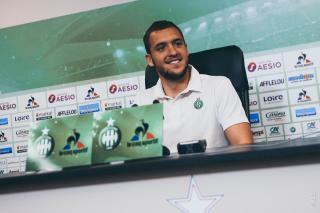 OM, this Wednesday, then the derby, Sunday: is this a decisive week? No. It’s an important week. Important because we’re playing two great clubs. It’s the first time that we’ll face OM this season. And, the derby is always a special match. It’s an important week, not a decisive one. Was there a sense of euphoria among the players? Euphoria? It’s not eurphoria. They’re just excited. They want to measure themselves against opponents like these ones. The players feel that they’re progressing but they also know that that during the first 19 matches, they didn’t defeat stronger teams at the beginning. But, that was an away team…. Exactly, in the Geoffroy-Guichard stadium you’re undefeated this year. And we hope to remain undefeated as long as possible. Last season, we only lost once throughout the course of the second set of 19 matches. In 2018, our track record on our home turf was extraordinary. We like to please our fans. They deserve it. Sometimes they number 300 or 400 when we travel. And they make incredible noise! We’ll try to maintain the course, to maintain this great fruit-bearing momentum in our stadium. Are people already speaking to you about the derby? We’re going to take things one at a time. People have been speaking to me about the derby since I arrived. 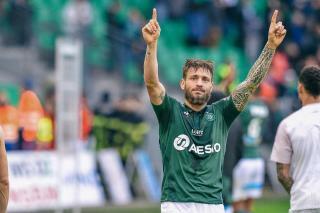 I haven’t yet experienced the joy of playing one in the Geoffroy-Guichard stadium. But, for the moment, we’re concentrating on OM. In regards of preparation, we know that we won’t need to foster our players’ motivation. Their eyes shine and seem to say “Coach, you can count on me”. After, you can’t dwell on these matches too much before playing them. Are you very confident right now before these two matches in light of your team’s results since the beginning of the year? If I tell you that the team is progressing, it’s because I’m confident. You always have to adapt to the situation. We won a Cup match, another as an away team, things that we haven’t done much since the beginning of the season. We have to maintain this state of mind and, at the moment, we have it.